Modern life is hectic. The nine to five, meetings, flights, conferences, entertaining clients — where, in all this, do we find time for ourselves? The answer is we have to make time. The concept of self-care has seen a resurgence in recent years. This uptake is likely a reaction to the hectic nature of the twenty-first century. The busier we get, the more aware we become that we need to compensate for chaos with self-care. Simply put, self-care is taking a deliberate action to protect your own well-being. That action can address any aspect of well-being including your mental, physical, and spiritual health. It’s about listening to your needs and taking the time to address them. 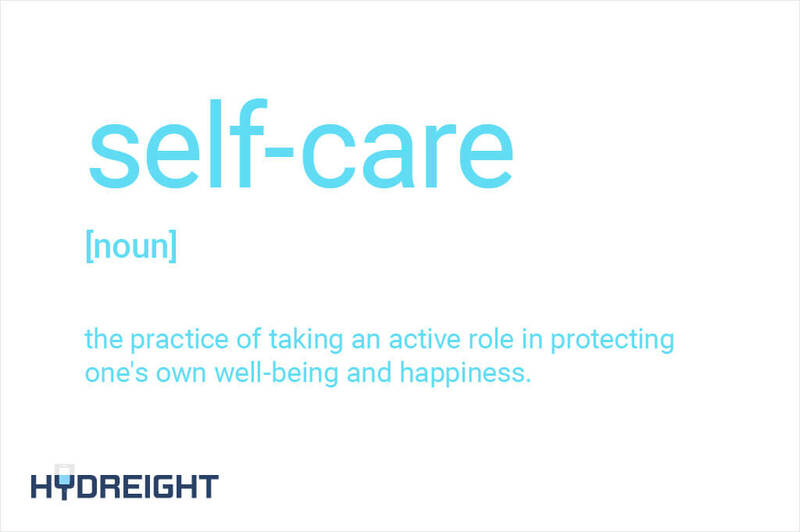 Self-care is the key to leading a longer, more successful life. Device Detox – It can be hard to relax at the end of a long day when your phone keeps going off and you know there are ten emails waiting for your attention. Periodically unplugging can help you truly relax, as opposed to stressing about all the messages that need answering and the day to come. Meditation – Even five minutes of meditation to start your day can go a long way towards maintaining a healthy state of mind. Meditation doesn’t mean sitting cross-legged, eyes closed either. Modern meditation can be as simple as a few minutes of silent reflection while sipping on a cup of coffee. Work Out – Exercise is a tried and true way of boosting not just your physical, but also your mental well-being. The release of endorphins, the energy lift, the feeling of accomplishment — there are countless benefits to sweating it out on the regular. IV Infusion Therapy – Whether you are suffering from a headache, jet lag, a hangover, or are just feeling burnt out, IV therapy is a quick and easy way to take care of your physical and mental health. Hydreight’s IV drips deliver a concentrated solution of essential vitamins, minerals, amino acids, and antioxidants designed to support your immune system and replenish your energy levels. Lending a helping hand – Something as simple as helping your neighbor with his/her groceries can contribute to your spiritual well-being. Spiritual well-being isn’t about religion per say — it’s just about finding meaning in your life. Volunteering, donating resources, listening to a friend, all these things can help you feel fulfilled and are a form of self-care. Yoga – To connect with the world around you start by connecting with yourself. Try engaging in a slow, deep-stretching, deep-breathing practice. Yoga is like a form of meditation. It gives you time to recharge and forces you to be present in the here and now. At the end of the day, all these practices are related. Whether you meditate, hit the gym, or book an IV, you are engaging in an act of self-care, and your future self with thank you! Hydreight makes self-care easy with mobile IV service. What that means is our IV Specialists come to you, wherever you are! Simply download the Hydreight app, find an IV Specialist near you, and book a rejuvenating treatment today.